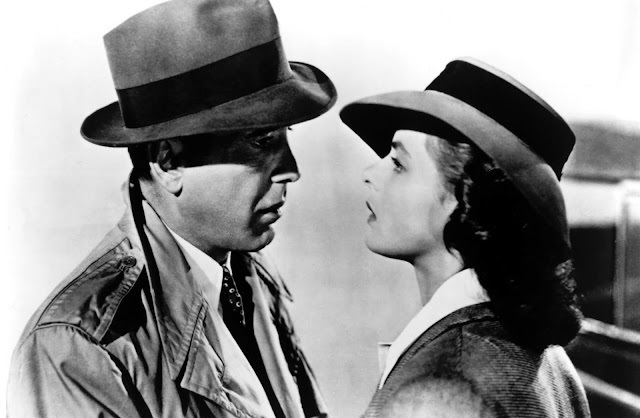 There are hundreds of happy endings in old Hollywood films, but there's also plenty of heartbreak too, such as Rick Blaine (Humphrey Bogart with Ingrid Bergman in the photo above) getting dumped TWICE by the same woman in Casablanca (1942) and Sydney Carton (Ronald Colman) heading off to the guillotine for the love of a woman who will barely give him the time of a day in A Tale of Two Cities (1935). With that in mind, I decided to make the old Hollywood top five for February about the cinema's most memorable losers at love. As always, feel free to leave your own picks in the comments section and the highlighted text has links to full-length articles. The annals of film noir are filled with romantic disasters, but no one's downward spiral was more spectacular than meek bank clerk Chris Cross in director Fritz Lang doom-laden thriller. The nebbishy Chris finds relief from his boring job and horrible wife (Rosalind Ivan) by striking up a mostly innocent friendship with beautiful grifter Kitty (Joan Bennett). Soon, Kitty and her nightmare of a boyfriend (Dan Duryea in sneering punk mode) are bilking money out of the naive Chris and selling his avant-garde paintings behind his back. But, because this is noir, it's only the beginning of Chris' spectacular fall from grace. Other noir losers include Fred MacMurray's dangerous liaison with Barbara Stanwyck in Double Indemnity (1945), Joan Crawford marrying suave bad guy Jack Palance in Sudden Fear (1952), and Loretta Young succumbing to Nazi war criminal Orson Welles' massive dose of gaslighting in The Stranger (1946). Old Hollywood's best-known loser at love is Rick Blaine who has to suffer through the indignity of losing the beautiful Ilsa Lund (Bergman) twice in one movie. However, what Rick lacks in romantic success he makes up for in style, going through the eight stages of romantic loss with unparalleled panache (just in case you're wondering what the stages are: 1. Move to a remote desert locale. 2. Have an epic gin-soaked pity party (clip above). 3. Lash out at your best friend just because he's playing "your song." 4. Make half-hearted plans to run away. 5. Accept that it's over while having a second less gin-soaked pity party 6. Outwit the Nazis. 7. Bid your love a wistful goodbye with the most memorable dialogue in movie history. 8. Yuck it up with Claude Rains). Bogart memorably strikes out at love in The Maltese Falcon and In a Lonely Place. 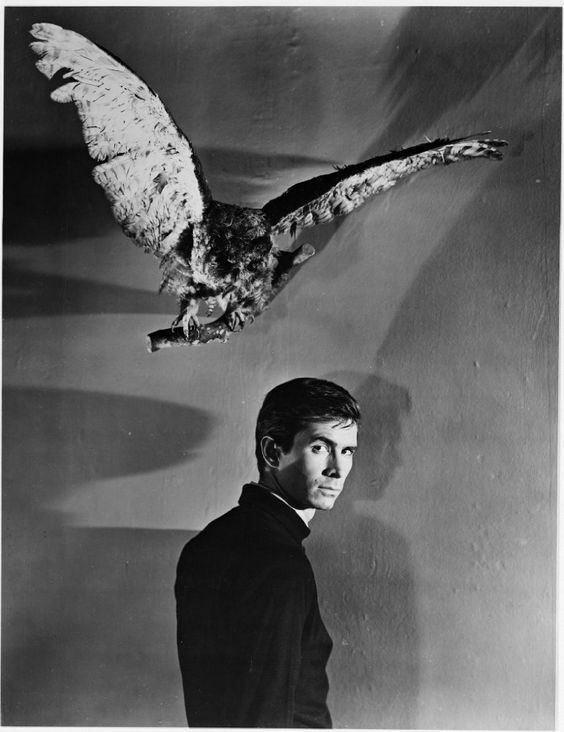 Anthony Perkins in a publicity still for Psycho (1960). It may be true that "a boy's best friend is always his mother," but she sure knows how put the brakes on flirting with the pretty lady in cabin No 1 (clip here). Director Alfred Hitchcock's rich filmography has lots of romantic disappointments, including James Stewart in Vertigo (1958), Joan Fontaine in both Rebecca (1940) and Suspicion (1941), and Farley Granger in Strangers on a Train (1951). Ronald Colman as Sydney Carton in A Tale of Two Cities (1935). 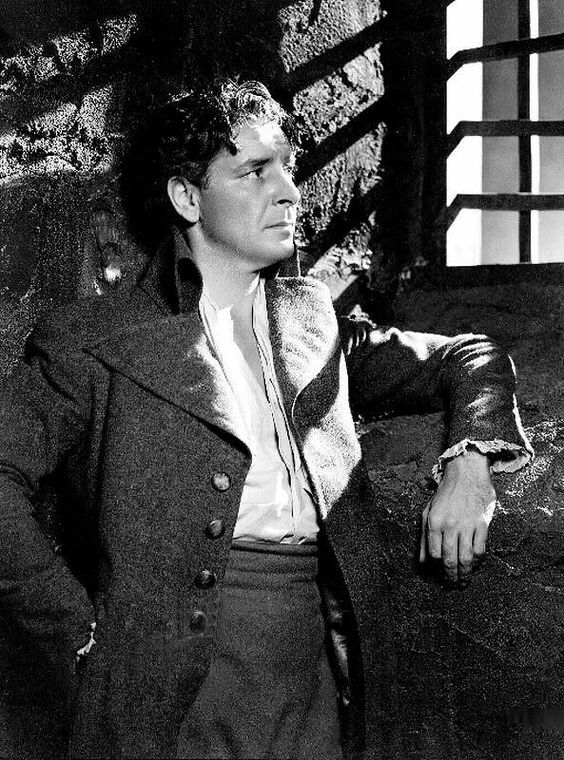 No character in old Hollywood history sacrificed quite as much for love as Sydney Carton in the 1935 version of Charles Dickens' novel about the French Revolution. Heading off to the guillotine in front of an angry mob might seem like an extreme sacrifice to even the most hopeless romantic, but remember that a). you get to give an impossibly eloquent final speech while being bathed in a heavenly glow courtesy of MGM's crack lighting department and b). nothing your unrequited love's significant other ever does will be able to compete with it (call me cynical, but I've always thought that was part of Carton's motivation). Both Merle Oberon and Laurence Olivier in Wuthering Heights (1939) and Montgomery Clift and Olivia de Havilland in The Heiress (1949) make pretty miserable costume-drama couples. Bellamy had a long and distinguished career on stage, screen, and film, but during the height of the screwball comedy craze, he was often cast as the square good-natured boyfriend of the heroine who loses out in the romantic sweepstakes to the charismatic leading man. Bellamy earned a well-deserved Oscar nomination for The Awful Truth (1937) opposite Cary Grant and Irene Dunne, but he was also hysterical in His Girl Friday (1940) opposite Grant and Rosalind Russell and the Fred Astaire-Ginger Rogers musical Carefree (1938). Happy Valentine's Day! I hope your day is filled with hearts, flowers, and lots and lots of classic movies. Here's Cary and Roz at the top of their game to take us out. Oh, yeah. Chris Cross is definitely my number one loser at love, and life, in the movies. I can't pick on Sidney Carton too much (oh, you cynic, you!). Can you imagine if the movies had changed Dickens' ending? I can't help but think that Louis B Mayer at least thought about Colman getting the girl in the end, although that would have really taken away all of his best lines. Despite my joking around, Colman really does give an excellent performance. I almost laughed out loud at your "Ralph Bellamy in Everything". Sad but true. Poor Ralph. His characters were generally such good sports. 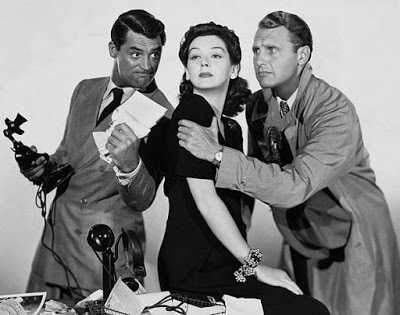 In His Girl Friday, I always hope he finds a nice girl to settle down with when he and mother go back to Albany.